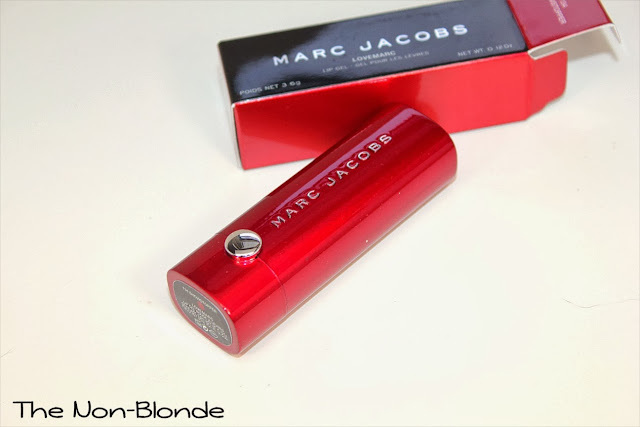 Lovemarc by Marc Jacobs is an interesting take on gel lipsticks. 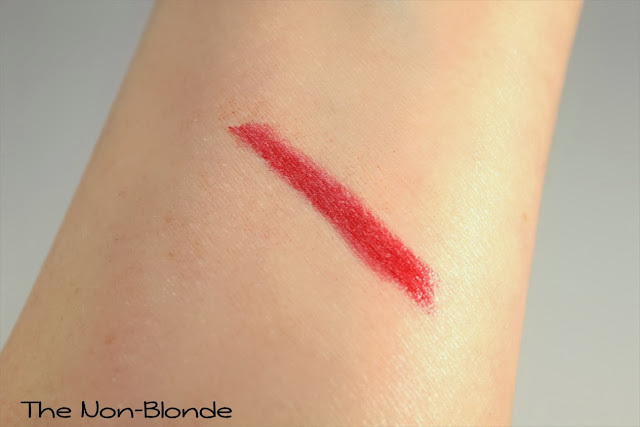 If you're familiar with similar products from Burberry or Laura Mercier you'll be surprised at the level of stain-like saturated pigment in Lovemarc. It's touted as a "long wearing" formula, while most gel lipsticks are actually a light(er) version of the regular colors, with emphasis on shine. 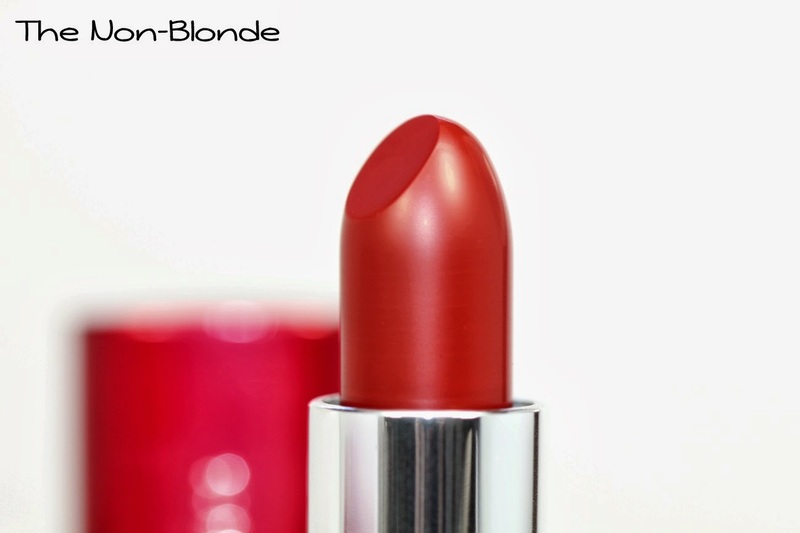 Lovemarc is kind of an overachiever lipstick, trying to be shiny, long-lasting, creamy, and comfortable. I can't say it's fully successful on all fronts, as eventually something's gotta give. 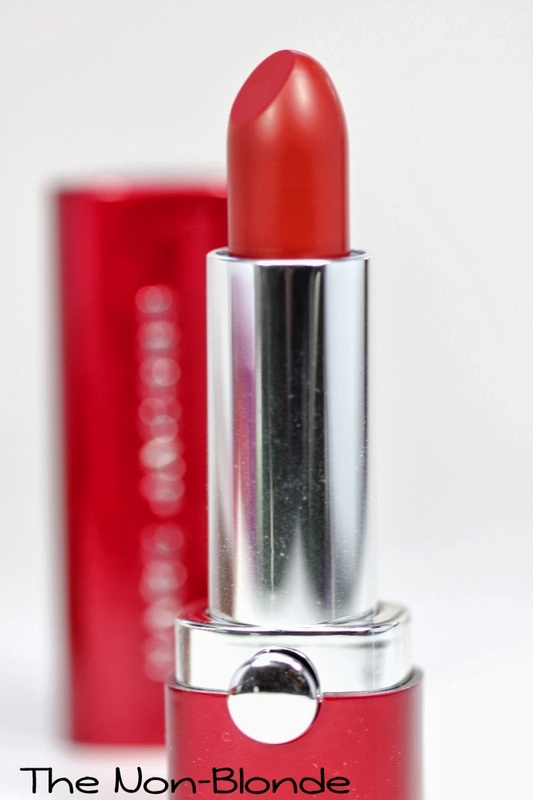 I bought Showstopper, a classic red, because this one color I can't resist. And a gel formula can make true reds less high maintenance than they usually are. However, I've found that I have to use a lip brush and preferably also a lip liner when applying, because for all intent and purposes, Marc Jacobs has created here a fully pigmented high-coverage lipstick. It's a good thing, really, just not what I expected in this case. The finish of Lovemarc is more satin than gel and has a very minimal and understated shine, which I quite like (but again, not necessarily gel-like). The major issues I have is performance. While Lovemarc doesn't actively dry the lips it doesn't provide the promised "intense hydration", and unless I do the whole line and brush thing over meticulously primed lips, Showstopper fades unevenly and leaves small patches of stain. 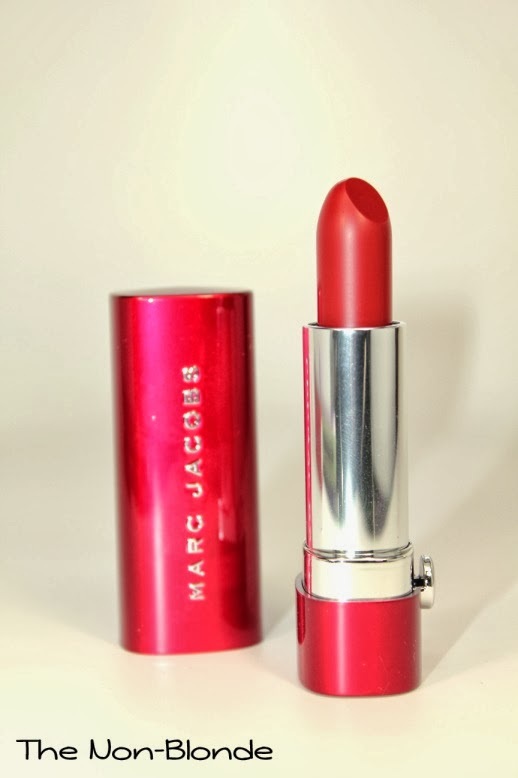 The lesson from several wearings is to treat Lovemarc as a regular mid-quality intense color lipstick. Prep the lips, apply with care, top with gloss or balm, and don't expect miracles in terms of formula. In the right context, Lovemarc in Showstopper is a lipstick I'm going to use and wear occasionally, because it's a beautiful red that remains true to the color in the tube (two coats to cancel the natural purple of my lips). It's just not going to be my desert island choice. Marc Jacobs Lovemarc Lip Gel ($30) is exclusive to Sephora.